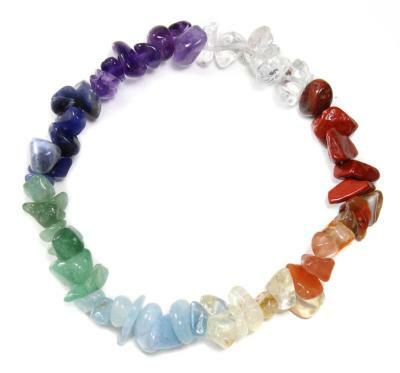 Chakra stone bracelet. All stones are natural and untreated. 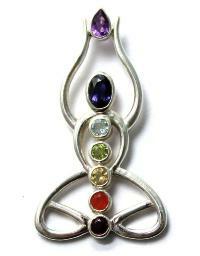 The chakras are energy centres that serve as an interface between the gross body, subtle bodies and consciousness. They receive, assimilate and express our vital life force, prana or chi. When they are healthy and working in a balanced way, we experience physical, mental, emotional and spiritual health. When the flow of our vital energy in one or more of the chakras become restricted or even blocked, we are unable to experience optimum health.